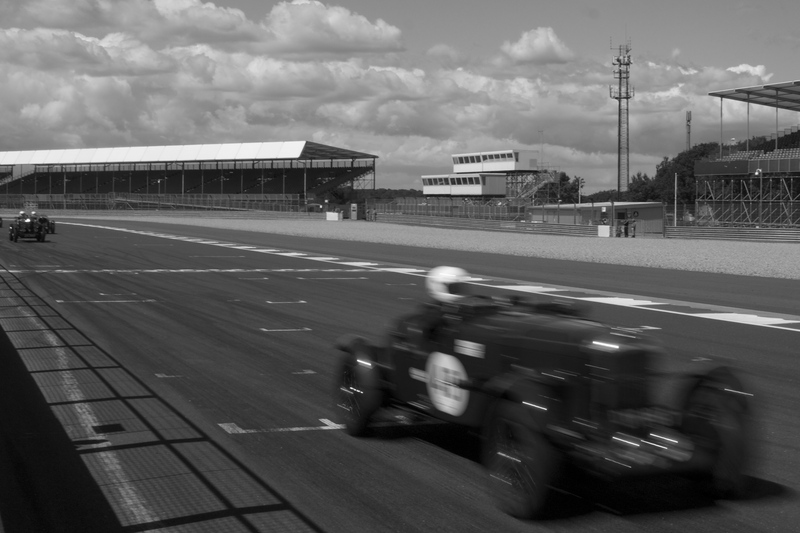 The Silverstone Classic is a humdinger of a classic/historic car festival which celebrated its 25th edition this weekend. 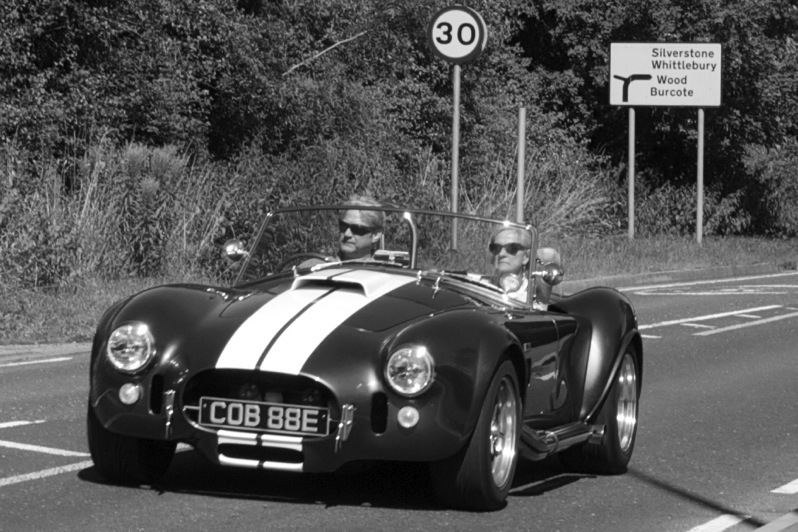 A full programme of historic car racing was the main draw for the 100,000 people who visited the three day event, but there were plenty of other attractions including off-road experiences, helicopter rides, car auctions and music from Paul Young and Status Quo. Within the circuit a huge out-door motor-show was created by the members of 120 car clubs. Hundreds of exceptional cars were on display, with large numbers of Ferraris, GT40s and Lamborghinis amongst the highlights. Kept out of the rain were the (mainly) highly polished machines on sale at Silverstone Auctions. These included a mix of stunning and intriguing cars such as a Ferrari Dino, a 1930s Austin Chummy, several ex-race cars and a barn-find Jaguar XK150. But the main attraction for visitors was the racing, all organised by the excellent Historic Sports Car Club whose events attract the cream of historic race cars. 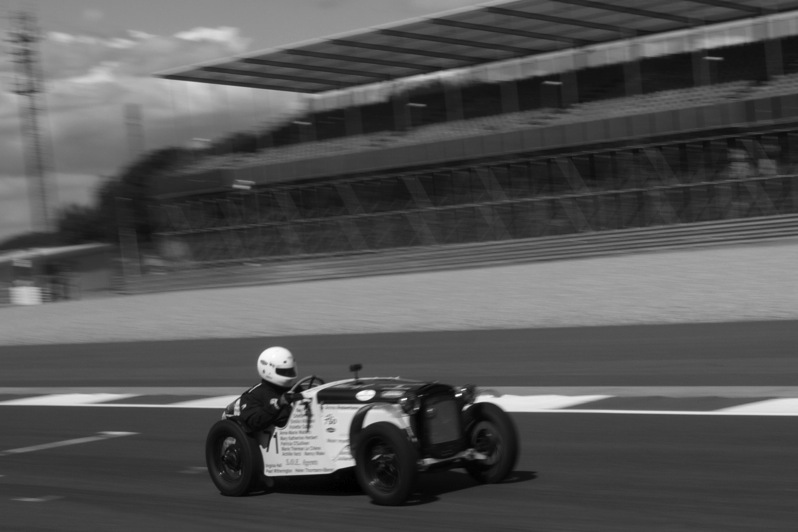 Twenty races over the weekend saw historic machines of all types take to the Silverstone Grand Prix circuit. Each of these old cars has a story behind it. One that is particularly interesting is that of an Austin Seven from 1935, driven by Chris Pearson in the Kidston Trophy for pre-war sports cars. 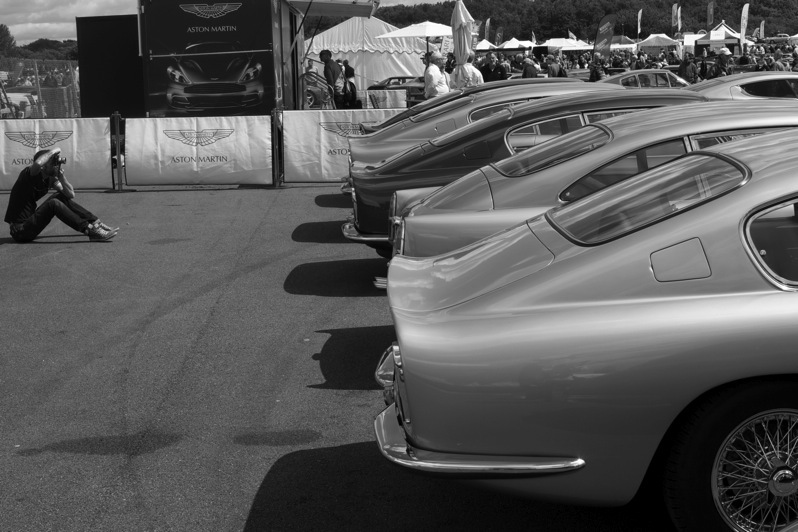 One of the most attractive races it had a fifty car grid full of Bentleys, Bugattis, Frazer Nashs and Astons. Whereas some cars have one or two names of the drivers on their sides, the little Austin is covered in names. But they are unusual, including the only one I recognised, Violette Szabo. She was an SOE agent who lost her life during WWII, having been parachuted into France to gather intelligence. The other names are those of other SOE agents; the Austin is being raced to draw attention to the brave exploits of these little known people in WWII. Chris Pearson has also written a book inspired by these SOE adventures, available here. Other formulae to be enjoyed at the festival included Formula Junior, pre-1961 Sports Cars, pre-63 GT cars, historic F1 and the Maserati trophy which showcased HGPCA Grand Prix cars from 1930 to 1965. The JET Battle of Britain Trophy brought together a large, varied field of British classics, including Minis, MGs, E-types and Elvas, though the spoils went to a TVR Griffith, driven by Mike Whitaker. It wasn’t just the cars on display in the paddocks and on the race-track that caught the eye. Visitors arrived in all manner of classic and modern vehicles, the roads around Silverstone full of exciting machinery wherever you looked. With parades of classic road cars during the breaks in racing, aviation displays, funfair rides, a Spitfire (the plane, not the Triumph), hot air balloons and much more there was plenty to see and do. Get your tickets for next year early.